We all need a little inspiration when it’s time to buy Christmas presents, here are some ideas that'll keep on giving for life. 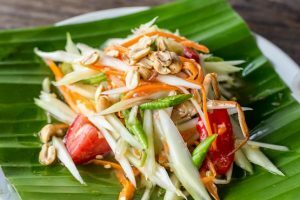 Food brings people together and giving a culinary experience will bring inspire your family and friends to get together more often. 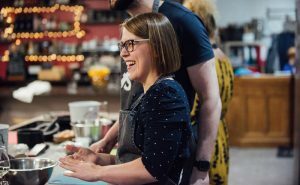 From novice to expert, healthy to gourmet we've got a class to suit everyone and you never know, you might benefit with a taste of what they learn. You can either book a specific class or buy a gift voucher so they can choose their own. 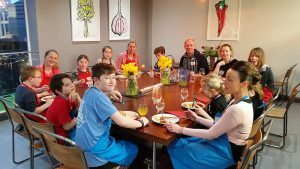 Classes can be adapted to suit most allergies and dietary requirements. 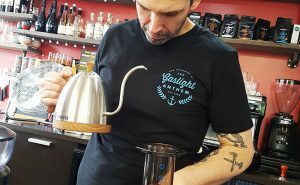 This class is all about making the perfect brew with a little bit of science from Gavin, a professional barista. 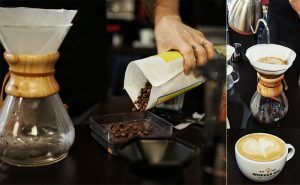 He will explain the differences in techniques used to make the perfect coffee, advise on what will work best at home and even how to use all the kit that you might have tucked away in the back of the cupboard. 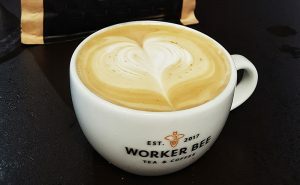 This is a hands-on class with plenty of opportunity to practise and even try a little latte art. This is the ideal gift for a couple, getting them to share a night out together to create a three course restaurant inspired meal. 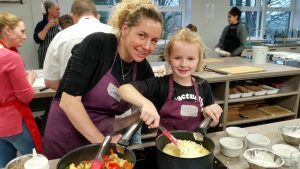 Our cooking together events are as much about chatting and relaxing as they are about learning and eating. 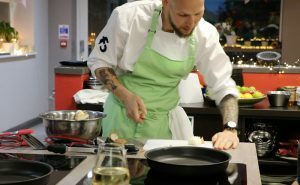 Working with one of our chefs, your friends will learn how to create and more importantly enjoy eating the food they make. 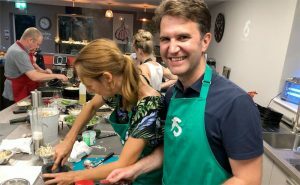 Cooking in pairs the menu can be adapted to suit individual's preferences or allergies. With two dates to choose from, or attend both!. 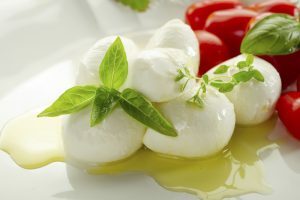 These day classes are a good mix of demonstration and hands-on - day 1 - halloumi & mozzarella then watch a demonstration of mascarpone and butter being made – both to be sampled with a tasty tea - and or - camembert and feta, leaving with approx 2 little camemberts and a block of feta to mature at home. 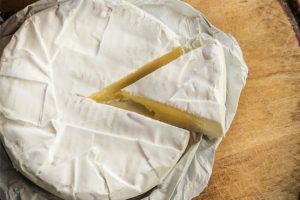 The sessions focus on how you can repeat the process at home using raw farm or Supermarket milk, vegetarian rennet and basic kitchen equipment. 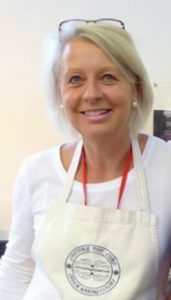 Louise Talbot combines her passion for cheese and teaching others new skills, at her Cutting the Curd Cheese Making Classes. Classes can be booked as a pair or individually, there is also a hotel onsite to enjoy the weekend. It's easy to get distracted and focus on other things, in this class you or grandparents are guaranteed to spend quality time with your child(ren). 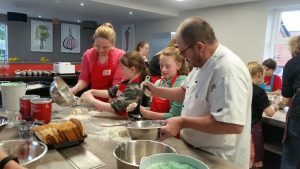 Working with chef Jason, get your little ones to bring out their inner chef. You will prepare a main course, a pudding and a side dish and then enjoy your meal together in the company of others at our affable table. 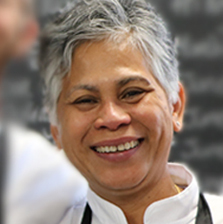 We are lucky enough to have met Chorchaba Harper a fantastic Thai chef who grew up in Thailand and has been in the UK for many years teaching cookery.Chochaba will be hosting a series of Thai Masterclasses, we have three different classes so you can enjoy learning throughout the year. "I was about seven years old when I started cooking. I lived with my Aunt who was a cook in one of the many Royal Thai households dotted around Bangkok. She did things the old fashioned way even in those days and I had to learn fast if I was to avoid a telling off or even worse". 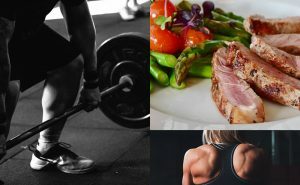 For people serious about healthy food, from professional athlete, cross fitter or body builder and those who want to adopt a more healthy lifestyle – we teach you how to create repeatable meals as delicious as they are good for you. 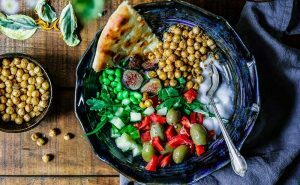 Jan will be hosting a series of life changing- Fit Food Classes at Food Sorcery, from muscle building, gut health or weightloss to classes all about different flavours. Choose a class of 90 mins or 3 hours - Cook and Eat or Takeaway. 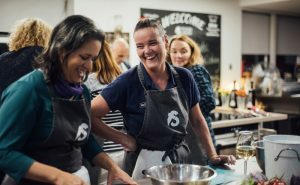 There are plenty more classes for your friends or family to enjoy so have a browse of our classes www.foodsorcery.co.uk or buy a Gift Voucher. 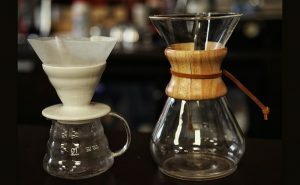 You never know you may even get the benefit of some of the top tips and tricks they learn. Bookings can be transfered if enough notice is given. 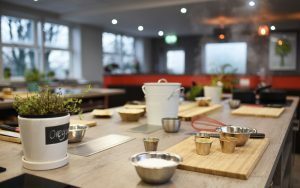 Food Sorcery Cookery & Barista School hosts hands-on fun filled cookery classes, team building and private dining events. We are adjacent to the Waterside Hotel, Leisure & Spa.